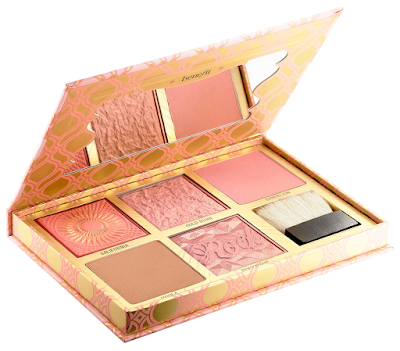 benefitcosmetics has launched a limited edition cheek palette packed with five of its bestselling full-size bronzers and blushes! 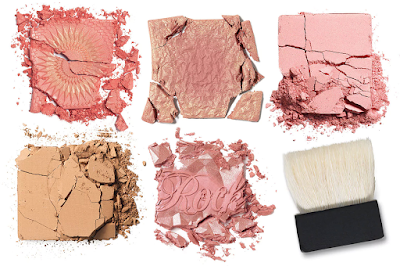 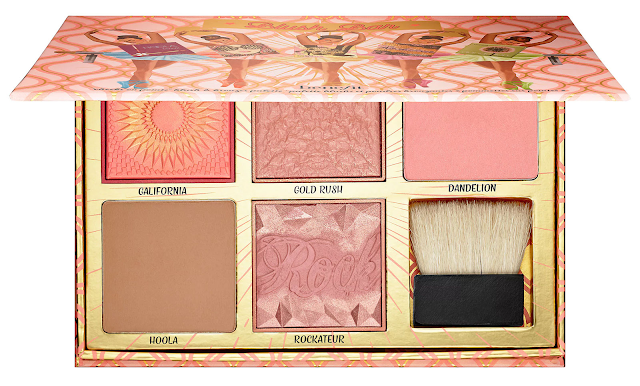 The new Blush Bar Cheek Palette includes the iconic Hoola Matte Bronzer, the fan favorite Dandelion Brightening Baby-Pink Blush, the sunshiny GALifornia Blusher that blends bright pink with shimmering gold, the bold Rockateur, and the benefit’s new Gold Rush warm golden-nectar blush. 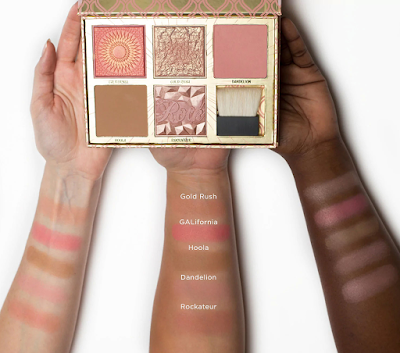 With five shades to choose from, and a mini powder brush, this is a must-have palette that covers all of your bronzing, brightening, and contouring needs!